"Fast, flat and scenic! 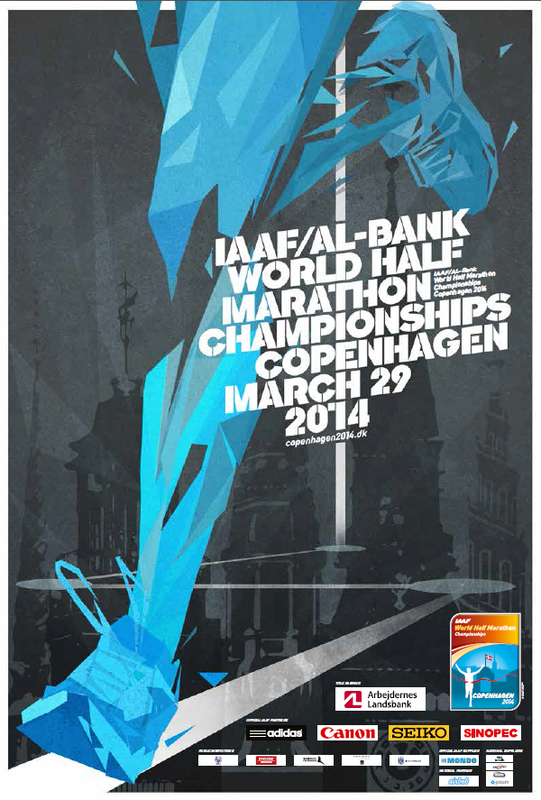 In 2014 the IAAF/AL-Bank World Half Marathon Championships will take place smack in the middle of Copenhagen - For the first time ever recreational runners will join the elite in a world half marathon and therefore it is a must attend event in your race calendar: The IAAF/AL-Bank World Half Marathon Championships is a once in a lifetime experience for runners of all kinds." Well, who could say no to that? 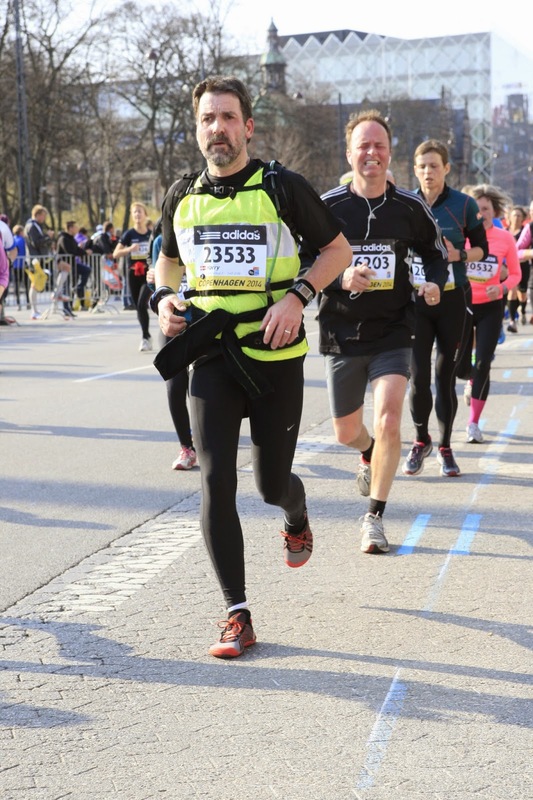 Along with 300 elite runners and 25,000 recreational runners I set off on Friday afternoon - March 28, with my running partner Peter (with whom I ran Berlin Marathon last year) for Copenhagen, for a once-in-a-lifetime, gigantic running festival. Pebble Smartwatch and WatchNote app. We arrived in Copenhagen late in the afternoon, and loaded our gear off at my niece's apartment on Frederiksberg. Then we took the bus across town to Sparta Hallen, the site of the Expo and start-number pickup. Already here the flowing lines gave a foretaste of the amazing organization of the whole event. 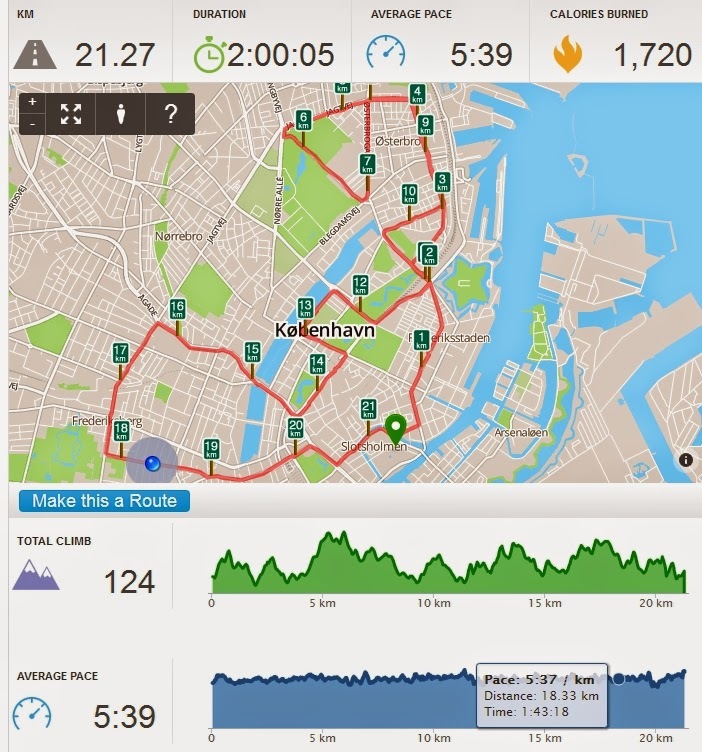 After picking up our start numbers, and browsing the expo, we walked back into Frederiksberg and replenished our carbs at Sticks 'n Sushi before preparing our gear and getting a good nights sleep. 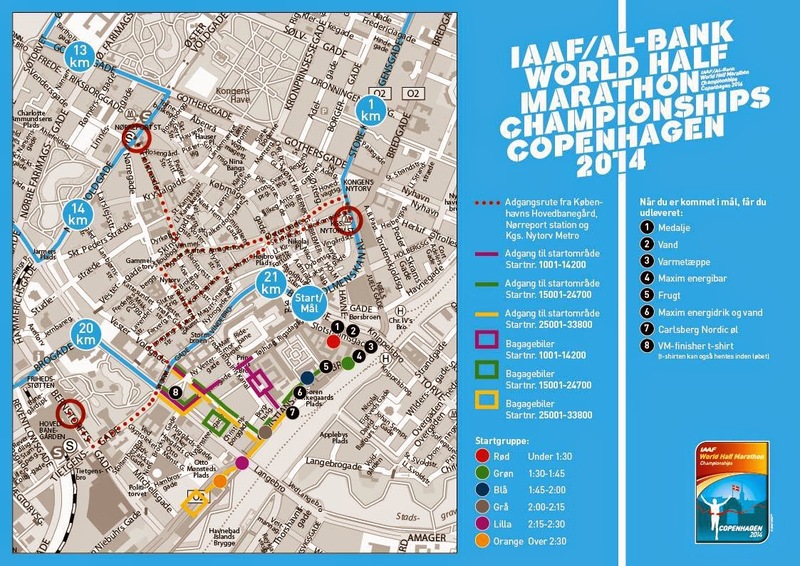 After breakfast of oats and milk at 8, we walked the 6km into Copenhagen center to get our legs loosened up. After dropping off our bags and jackets at the pickup-trucks we headed off for coffee at a sidewalk cafe, and by 11 we were moving toward the start area. The race proper started at 12:00, but our starting group didn't get moving until about 30 minutes later. This was not a problem, as we had a grandstand view of a huge TV screen which allowed us to follow the elites' start and progress through the race: it was an amazing feeling to know we would be running the same race as the best in the world! 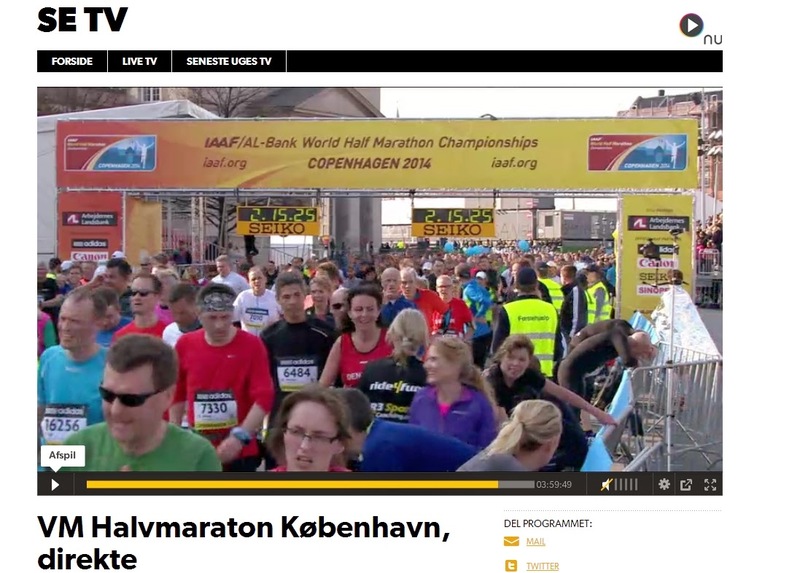 Finally we were off, and I settled in to my pace of 5:40/km from the first few meters. 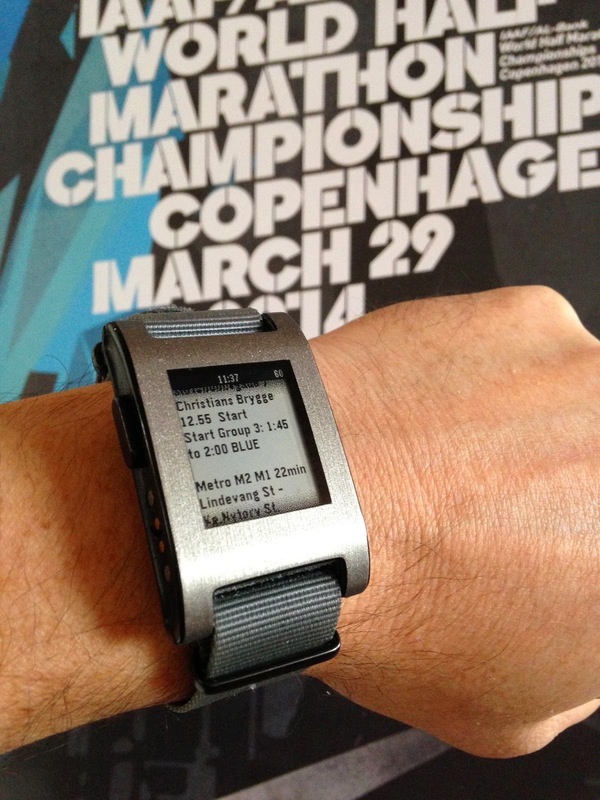 I was able to keep adjusting my pace thanks to the iSmoothRun app on my Pebble Smartwatch. We had placed ourselves well, as I was able to latch on to a series of "pacers" fairly soon, and begin that process of abstraction I found necessary to remove my attention from the effort required to maintain a pace which was a full minute/km faster than my training paces (I really need to do something about those training paces...). Watchnote app held all my information and paces. 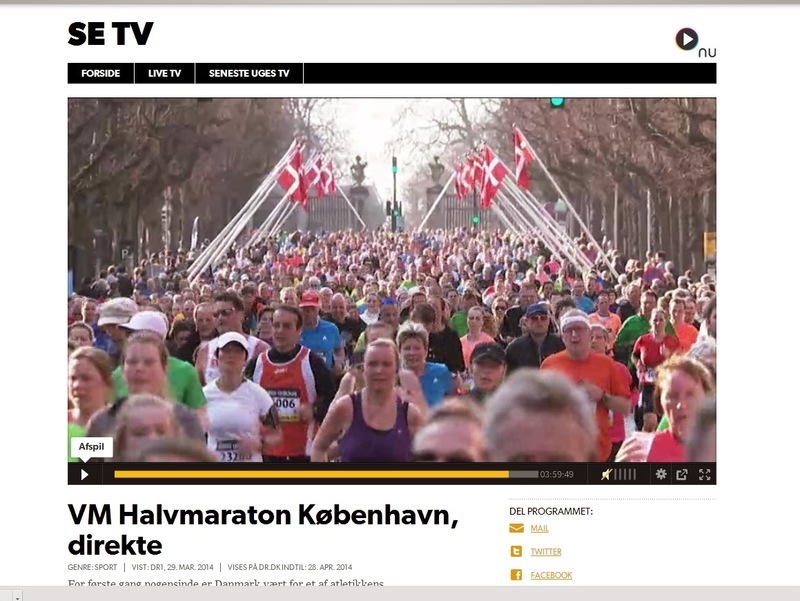 After 4km I was at Østerbro, and still on pace, feeling like I was working hard - but not more than I expected to be able to maintain. The experience was surreal, with literally thousands of spectators lining the route, helicopters overhead, chasing the best runners in the world... but this was just a foretaste of what was to come! The temperature was rising, and I found myself looking for the shady side of the street (not a usual occurence in March in Denmark, let me assure you!). By 10km we were heading back in a loop through the City, and I could feel that I had been pushing hard - the effort was beginning to tell. In addition, I had developed a hotspot under each foot which signalled blisters under development. This is not something I usually have problems with, and I think they arose due to the exertion - and a slightly longer stride than I am used to. By 15km I had to empty a glass of water on my head (I always carry my own drinking water in a CamelBak) due to the heat, but by now we were on our way into Fredeiksberg, my "home" turf (I studied here for ten years). Here, the party really began - crowds 10 people thick on both sides of the street, live music everywhere and a general air of Spring, excitement and festival! 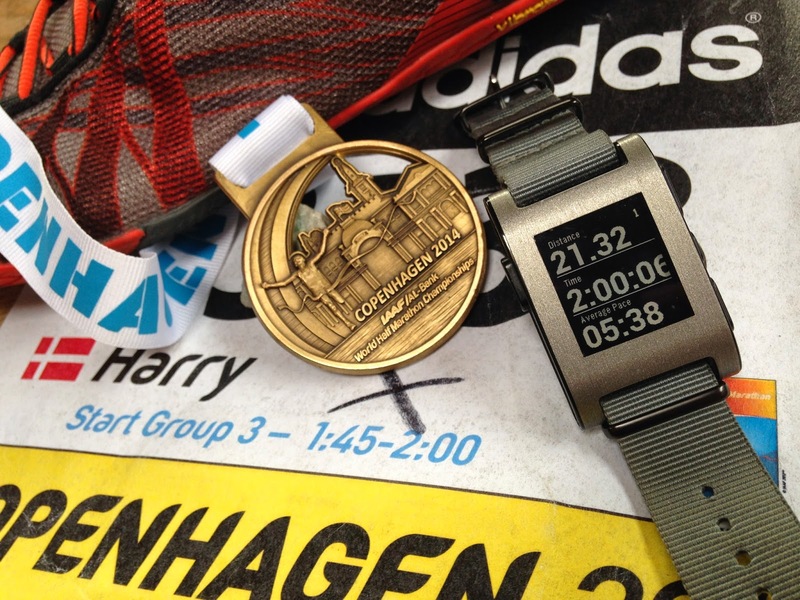 I had divided my race strategy into two halves, the first 17km (McDonalds on Frederiksberg) and then the last 5km to the finish line. I figured I would hold my target pace of 5:40 for 17km, then see what I had left. If needed - I figured - I could shuffle the last few kilometers if I had burnt all my reserves. My reserves where indeed at "Reserve", but turning the corner onto Frederiksberg Alle at 18km was... unbelievable. A slight downhill run of about 2km, even more crowds, an arch of flags across the boulevard, music, sunshine, an ocean of bobbing heads - and I decided to burn off my entire reserve over the next 2km to hold my pace in a last desperate effort. 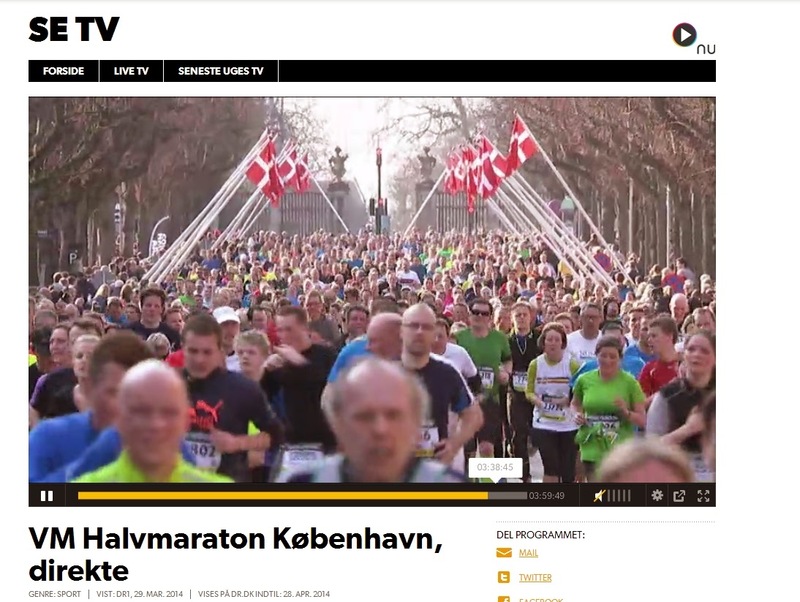 The 20km mark saw me passing Tivoli, and the last kilometer I ran on"empty" with clenched teeth and a growing desperation. 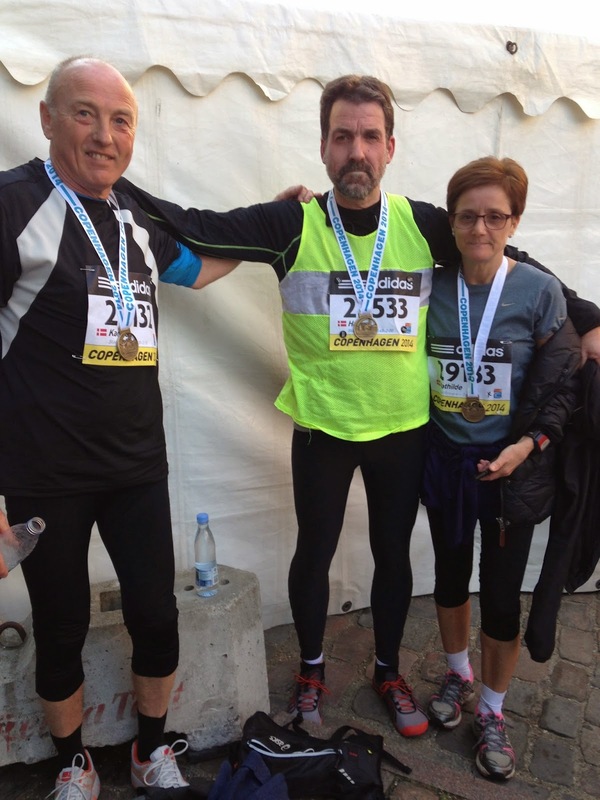 Finally - the finish line: 21.27km at a pace of 5:39, and a time of...2:00:02!!! 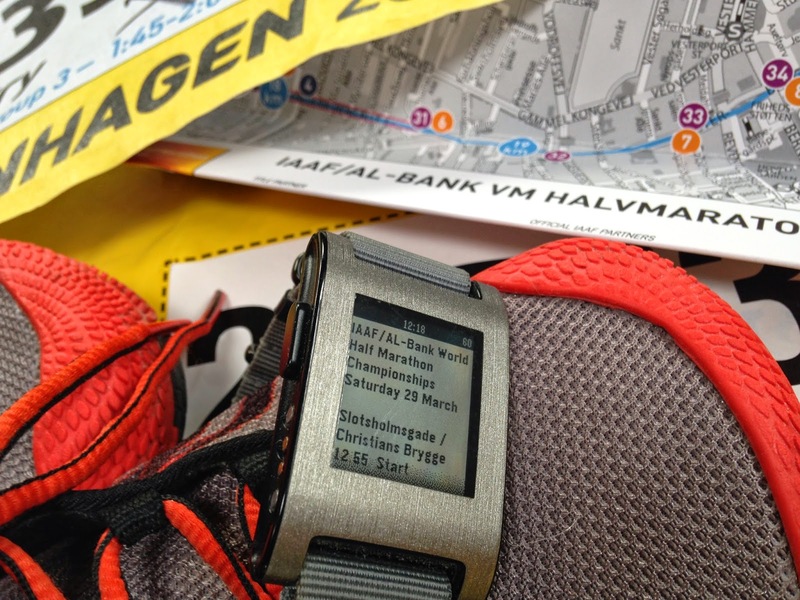 iSmoothrun and Pebble - worked perfectly! 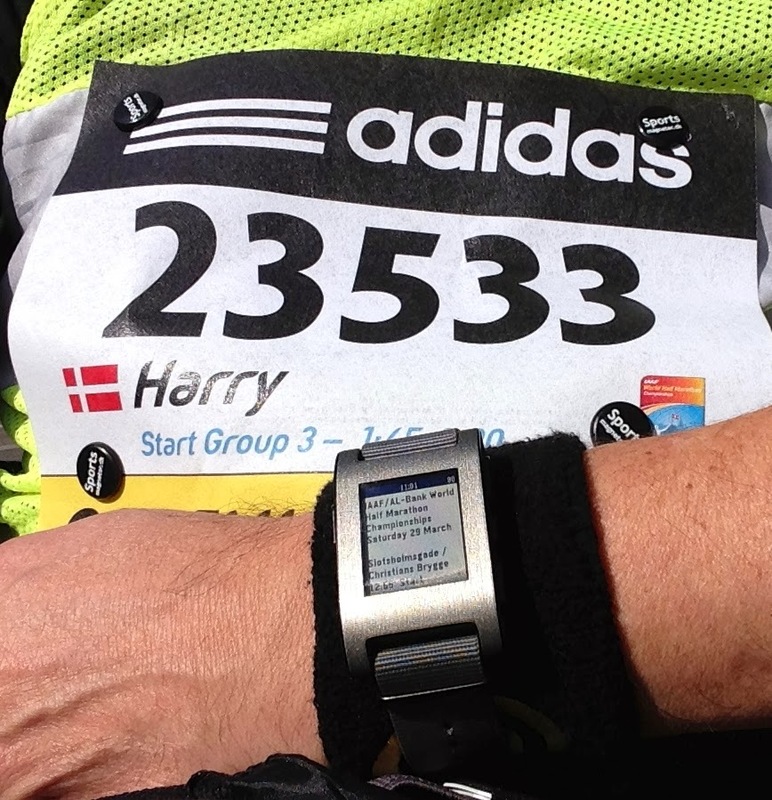 Running for the shade had cost me an extra 150m - and my sub-2 hour finishing time!! 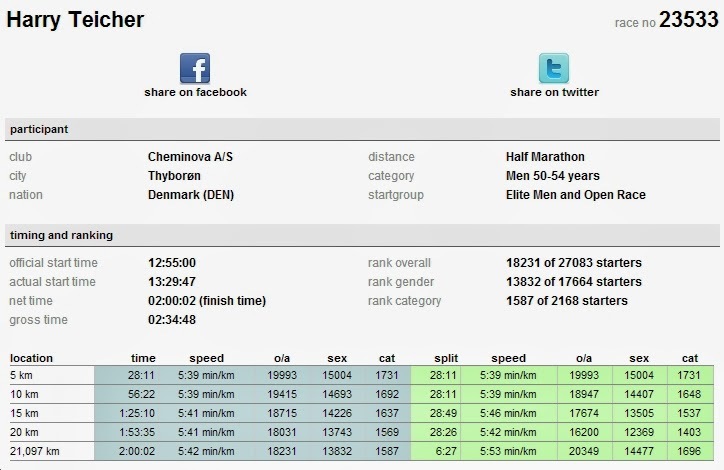 I was ecstatic at having had the chance to compete and finish without injury, at maintaining my goal pace so consistently (thanks Pebble and iSmoothRun!) and at having a running experience like no other - hours of winter plodding in slush and snow culminating in a superlative runing festival on a superb first-day-of-Spring! Everyone who participated - elite and mass participant - contributed to a once-in-a-lifetime event. We all had the same goal: to reach and exceed our potential on the road. But the greatest thanks must go to the spectators and organizers, who turned the day into a true Festival of Running, and provided us with inspiration - both on the road but also for the years ahead!